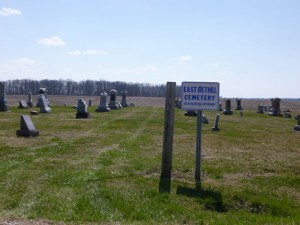 As I wrote this week’s Tombstone Tuesday about Buress and Leona (Becher) McBride I was reminded of East Bethel Church, a local church that no longer exists, and one of its former pastors. The McBrides were members of East Bethel Church, a church that was located just a couple miles east of where I grew up. East Bethel Church is no longer standing. They tore it down around 1967 but I remember it when it stood just west of its cemetery, named East Bethel Cemetery. 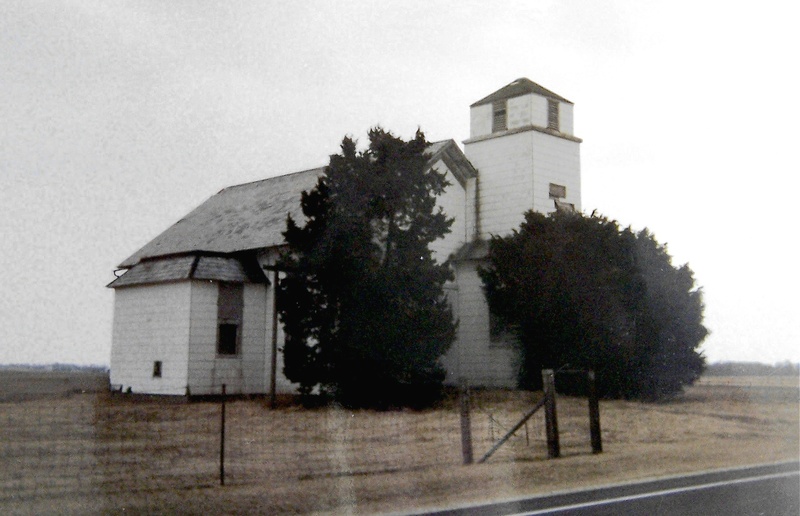 The church was located on State Route 707, 2½ miles east of State Route 49, east of the intersection of State Route 707 and Wabash Road. It was in Section 34 of Blackcreek Township, Mercer County, Ohio. Below is an old photo of East Bethel Church, probably not long before it was torn down. 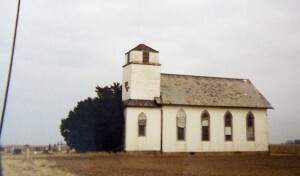 The congregation was disbanded in 1963 and the church looks like it was not in use when this photo was taken. Note the cemetery in the background, to the left. East Bethel Church, Blackcreek Township, Mercer County, Ohio. East Bethel church was organized in 1855 as a Liberal United Brethren church. The congregation began when Rev. Gillen held services for a group of people in a small log cabin a short distance from where the church would later be built. Gillen came from the old Miami Conference and had also organized the United Brethren Church at Montezuma in 1845. 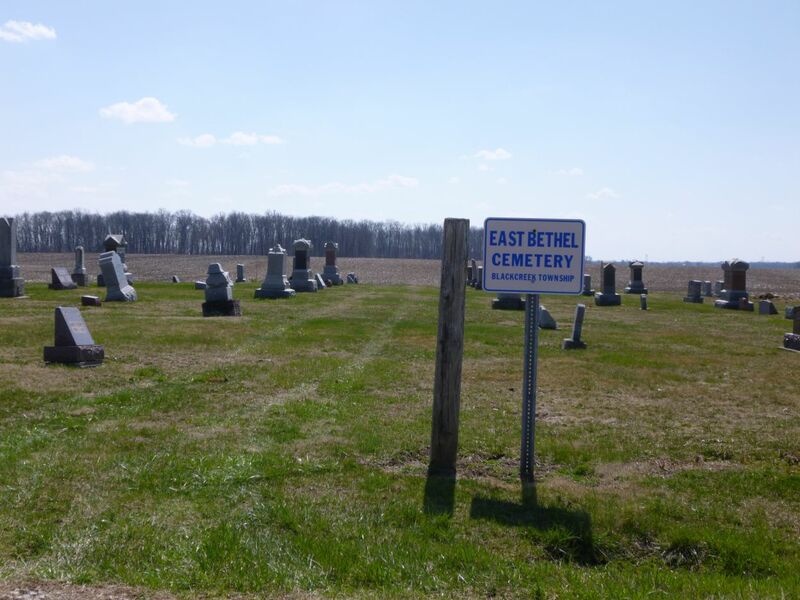 Jane Reichert, Altie Hill Lower, and Mrs. Richards, relatives of the Montezuma Class but lived in Blackcreek Township, recorded the information about East Bethel Church. The class was organized 2 June 1860, in the home of Mother Henderson, with the assistance of Ms. King. Rev. Abe Miller and Rev. John Hill were the organizers of the class and Rev. Miller was the first pastor. One of the first Bible readers was a man named Martz. The church was first named Mt. Pleasant, but since there were seven other churches named Pleasant in the area they dropped the name Pleasant and began using the name Bethel in 1884. Over the years it was known by several names–Mt. Pleasant, Pleasant-Bethel until 1884, Bethel Brethren, and finally East Bethel. East Bethel was first part of the old Maumee Conference, then part of the Auglaize Conference, the Sandusky Conference, and finally the Ohio Sandusky Conference. Land for the church was purchased for $5 from Henry C. Morrison by the church trustees in September 1886. At that time Bethel was part of the Pleasant Grove circuit of the Auglaize Conference. In 1909 the trustees purchased additional land from John and Barbara Leistner to enlarge the church lot. Trustees at that time were Andrew Harb, W.E. Counterman, Peter D. Cross, and J.J. Carr. Very few of their church records exist today and those that do are probably held by a several individuals. 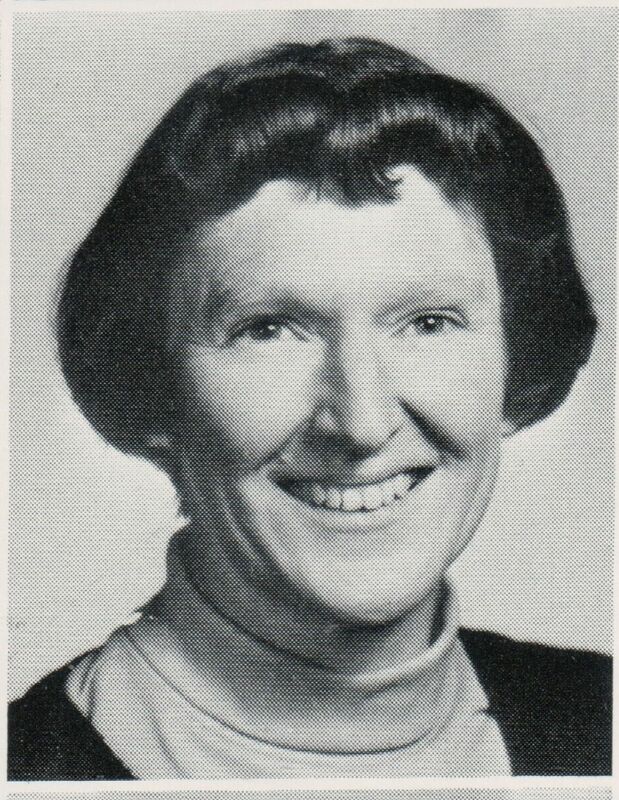 Leona McBride’s obituary indicates that Rev. Delbert Cress was in charge of her funeral service. I did not know Rev. Cress but I did know his wife, Juanita Cress. She was one of my teachers and I spent all four of my high school years at Parkway High School in one of her her algebra and/or geometry classes. Juanita Cress, algebra & geometry teacher at Parkway High School in the 1960s. I really liked algebra (geometry, not so much) and I enjoyed Mrs. Cress’ classes. I actually did very well in her classes. It must have been a challenge for her to try to explain x, y, and z to a class full of teenage high school students, knowing that a good number of them probably did not really want to be in the class. But her classes were among my favorites. Information from by Florence Gause, acquired from church history, notes from conference records, early Ohio history accounts. Mercer County Deeds, Vol. 52:365, Recorder’s Office, Celina, Ohio. What wonderful memories of East Bethel Church. Thank you for sharing them. Who was your grandma Icy that played the piano? It seems there are very few photos of the church around today. I was fortunate to get these church photos from Florence Gause. Sadly she recently passed away. Thank you very much for writing. I love hearing your stories. My grandparents were John & Icy Gehm. They lived on Wabash Road. She had an incredible garden with raised beds & paths. I’ve never seen a garden like it. I have an aerial view picture of their farm along with the garden. I have heard about her beautiful garden but I don’t remember having seen it. I would love to see the aerial photo some time. Thanks for writing!